Why this Project is so Important? The region of South Tolima was hard hit during the coffee crisis in the early 2000's and under heavy influence of local guerilla groups. To receive help with their infrastructure, health services, sanitation, education and ultimately cup quality. To give hope to a community that suffered so much. To be able to show that we support them and want to ensure a bright future, recognizing the high-quality Arabica coffees they grow. To support something tangible, verified and where measurable results and quality have changed a community for the better. The initial funds were invested to address the communities most basic and immediate needs: infrastructure, health, sanitation and cup quality improvement. Once basic needs were addressed, technical assistance funds were directed based on the communities' request towards elementary school improvements and ongoing farmer training. 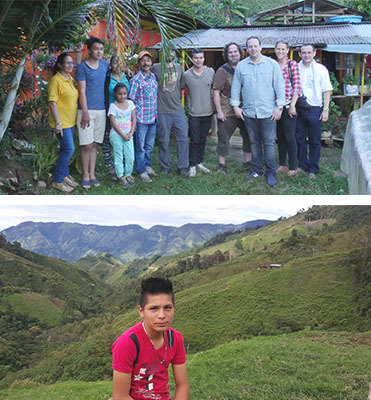 The most recent project, Young Entrepreneurs in the Coffee Industry focuses on identifying and training future coffee leaders in the municipality of Bilbao, Planadas who have been carefully selected based upon their high achievements in school and leadership capabilities. Provided funds for UV-protective plastics distributed to 240 farmers for parabolic drying tables. 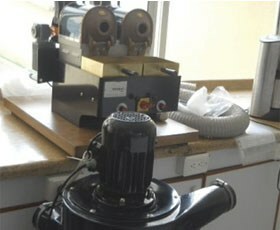 Funded water, brewing, grinding equipment for one of Cafisur’s centrally located cupping labs (used for training and quality control). 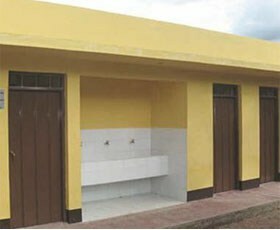 Construction and plumbing of bathrooms and plumbing of 6 elementary schools in Planadas, Tolima. 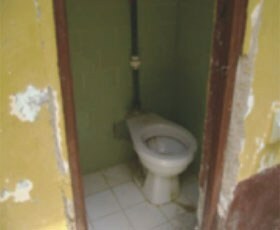 Continued work from the sanitation project with notable improvement of sanitation infrastructure and health conditions. Computer Centers were established in 4 schools located in Rioblanco, Chaparral and Planadas. 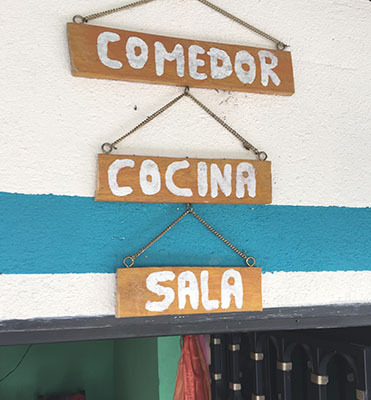 These compute centers are used for education, coffee training and market access. 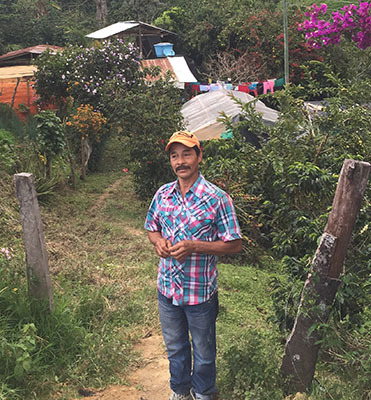 These sites serve 240 coffee farmers and their families. One hectare of arable land was given to each of the 50 selected agronomy students identified in the municipality of Bilbao. 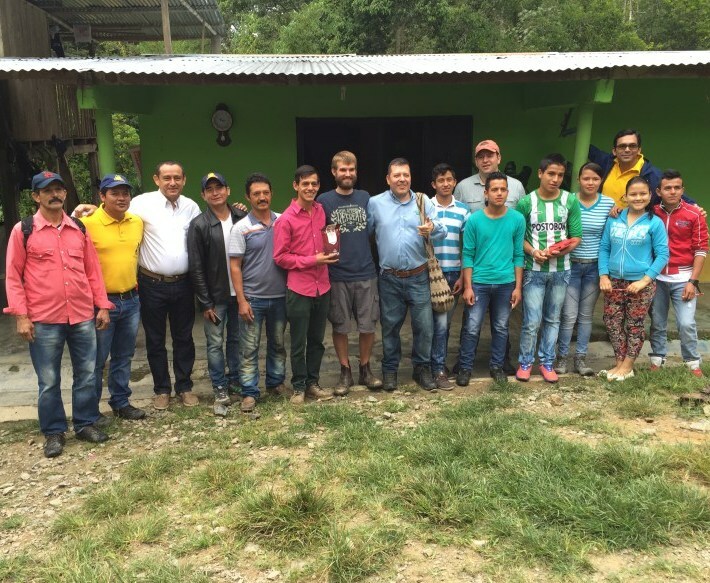 Along with this, the students were given technical training and courses on coffee growing. The land will be given to them upon graduation so they can start operating a successful coffee business. 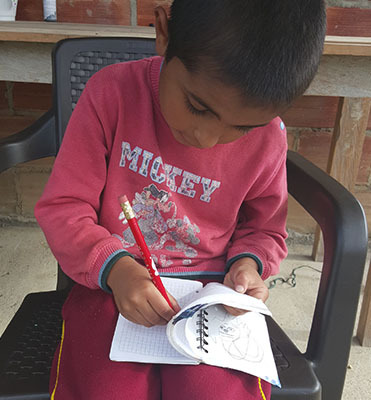 Access to this information Technology was crucial for better business and education for 385 very small producers and their families in Ortega, Tolima. Funds collected during the 2008/2009 crop used to purchase a Probat BRZ double barrel sample roaster for El Salon del Café. The basics needs were addressed, education improved, farmer training was provided in order to improve farm and coffee quality and a big focus was put on retaining the next generation of coffee farmers. Improved coffee quality: Arrival cup scores consistently reach 84-86 points on the SCAA scale. With improvements in education, coffee farming is now a viable choice for youth in the region where they can eventually take over their family farms. The program made a huge impact on their life. "Over the last year I have become very interested in the program and I see how much it is benefitting my family." "We are farmers’ sons. The program gives us economic support that impacts our future and our careers." 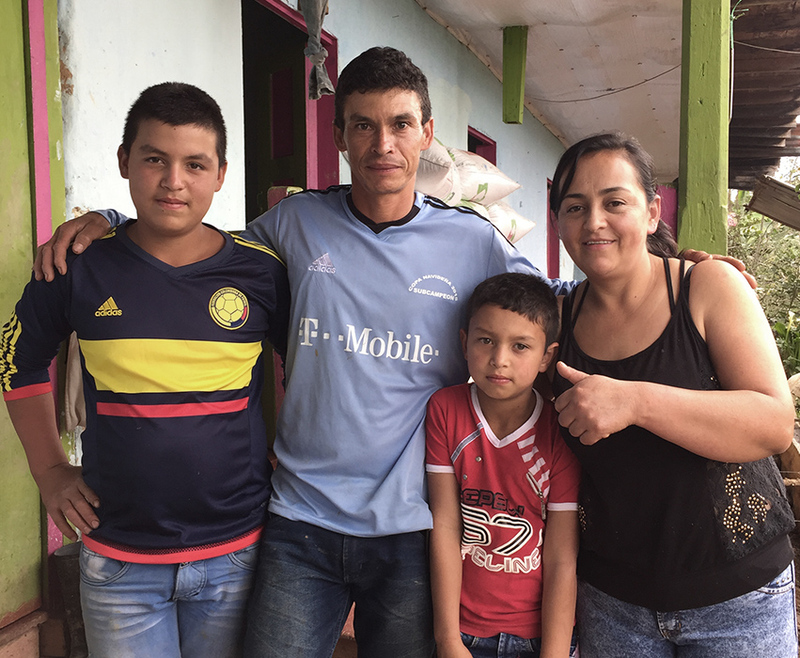 Launched in 2016, the Aguadas Farmworkers Pilot is a coffee industry coordinated project to find solutions and work on a benchmark to increase the quality of farmworker conditions, management, labor formalization and recruitment. This association of over 400 women coffee farmers came together to solve issues including lack of capital to use on their farms and to create an equitable working relationship with their husbands. Today, they are committed to producing high-quality coffee. 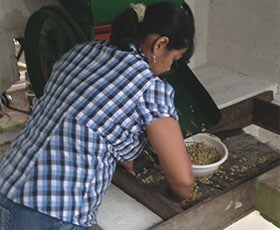 An association of organic women coffee growers invested in sustainable and organic coffee production. One of the main goals of the project is to ensure financial stability during the organic conversion process which can take up to 3 years. ACEC is an association of 392 organic coffee farmers who promote and develop technologies that increase the production and yields of excellent organic coffees. The projects helps to attract conventional farms to convert to organic. 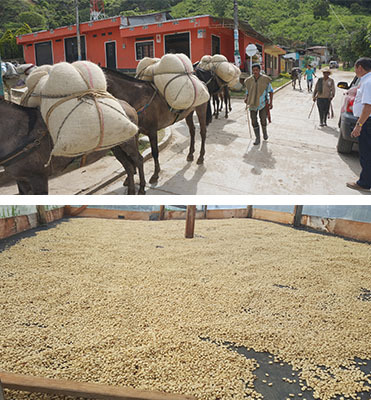 The focus with Granja La Esperanza is to promote specialty and microlot coffees from Colombia. 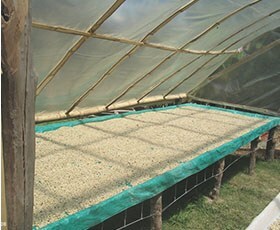 La Esperanza has created a truly unique environment among their 3 model farms which serves as a leading worldwide example of microlot coffees.